Samantha Sammartano joined Donohue, O’Connell & Riley as a law clerk in 2018. Samantha graduated with honors from the University of Maryland, College Park with a dual Bachelor of Arts degree in Criminology and Criminal Justice, and Human Development. During her time at Maryland, Samantha worked in the University of Maryland Athletic Department as a Title IX liaison, and spent a semester abroad studying politics at the American College of Thessaloniki in Greece. Samantha earned her law degree from the University of Baltimore School of Law. 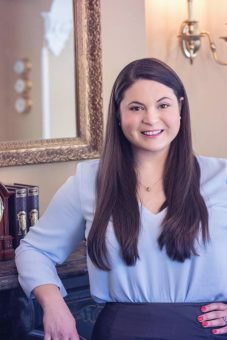 During law school, Samantha worked as a Student Attorney for the Bronfein Family Law Clinic, where she specialized in estate law and advocated for the rights of women and children.